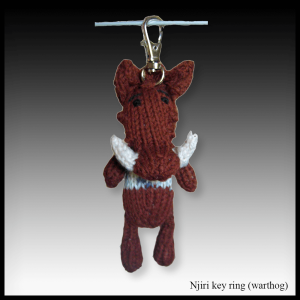 The name of this knitted key ring, Njiri, means warthog in the Zimbabwean Shona language. 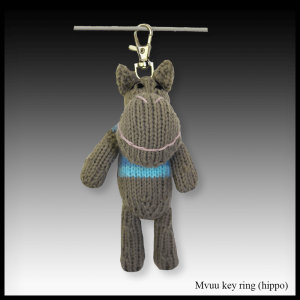 The name of this knitted key ring, Mvuu, means hippo in the Zimbabwean Shona language. 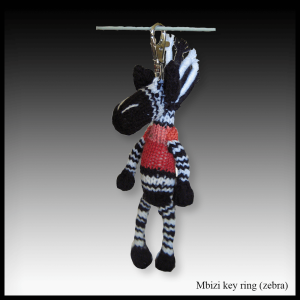 The name of this knitted key ring, Mbizi, means zebra in the Zimbabwean Shona language. 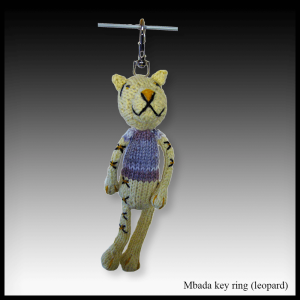 The name of this knitted key ring, Mbada, means leopard in the Zimbabwean Shona language. 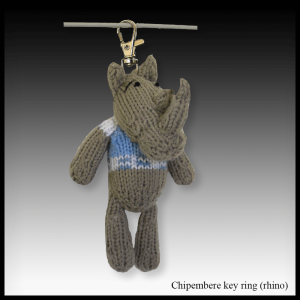 The name of this knitted key ring, Chipembere, means rhino in the Zimbabwean Shona language. 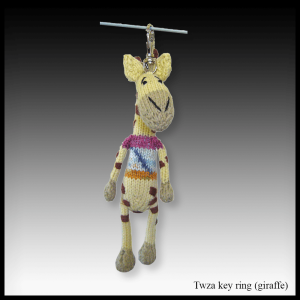 The name of this knitted key ring, Twaza, means giraffe in the Zimbabwean Shona language. 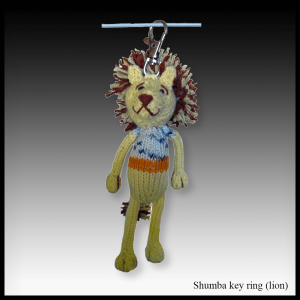 The name of this knitted key ring, Shumba, means lion in the Zimbabwean Shona language. 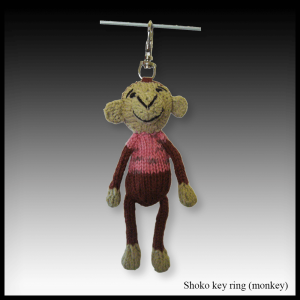 The name of this knitted key ring, Shoko, means monkey in the Zimbabwean Shona language.